As the year draws to a close, here’s a selection of things from the last twelve months that I have enjoyed and would like to share. Have a happy 2013! 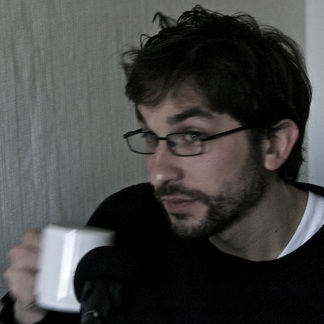 Dan Vezza’s Composer Conversations podcast has kept me listening with its utter candour and unpretentious discussion of compositional nitty-gritty since the first episode in September. Dan is not only able to steer good chat, but possibly uniquely qualified to present composers from quite distinct scenes, including composers from both Europe and America, with a wide variety of musical voices. Tanztheater Wuppertal, 1980 - Ein Stück von Pina Bausch — I was lucky enough to catch the revival of this Pina Bausch choreography at the Théâtre de la Ville in Paris twice in the spring. The performance, which lasts almost four hours, is an astonishing meditation on loss and farewell with an intensity and breadth that completely bowled me over. Piaras Hoban, stamme : nahuskild : 존재감 — I met Piaras and heard this piece at Fondation Royaumont in September. There is something wonderfully bold and forceful in the way this work unfolds, letting sound slip into a kind of unpredictable, mystical dimension. In a much briefer vein, here is Tim McCormack’s Apparatus vividly performed by young German ensemble hand werk at this year’s edition of the Wittener Tage für neue Kammermusik. 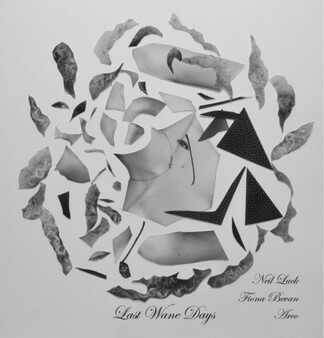 Neil Luck, Fiona Bevan & ARCO, Last Wane Days — This two-track EP collaboration between composer Luck and singer-songwriter Bevan around texts by Richard Foreman performs the kind of ADHD-evoking stylistic leaps that one might expect of Van Dyke Parks and yet somehow hangs together with a weird, geeky cohesion. The music is linked to Luck’s ‘Notebook’ performance project, a video of which is also worth watching. Heinrich Schütz, Historia Der Auferstehung Jesu Christi , Ricercar Consort, Mark Padmore et al. Two thousand eleven & Two thousand ten. In September, I attended the ‘Voix nouvelles’ residency programme at Fondation Royaumont (as evidenced by this splendid photograph) and in the process wrote All the time that you have what we have. / All the time that you have. for soprano Marie Picaut of Les Cris de Paris and Quatuor Diotima’s violinists YunPeng Zhao and Guillaume Latour. You can now listen to the recording of their performance given during the closing concert by clicking on the player above. It is a somewhat unusual work for me in that its primary approach could be said to be one of drawing more on a performance art context. Though it remains music, the work gathers a dramatic aspect (that is possibly lost in the recording, I can’t tell) in being built around the exhaustion of breath and bow. The performers’ struggle to maintain presence and expression against natural physical limits shapes the sonic material, arriving at sound qualities that would probably otherwise be avoided, and — I think/hope — lends it a new meaning. At the end of October, sparked by a post by Ian Pace, a heated debate took place on Facebook around the protest action of Johannes Kreidler against the fusion of the radio orchestras at Baden-Baden/Freiburg and Stuttgart, which Kreidler performed at this year’s Donaueschingen Festival. Having consulted the contributors, Pace subsequently posted the full discussion on his blog, a positive move, which reinforces the idea that social media may be becoming a valid arena for public debate. I found both clicking through the posts on Facebook and reading through the discussion on Ian’s blog somewhat tiring and visually confusing, so put together a formatted PDF of the discussion to ease my reading. I thought this may prove useful to others, so here it is to distribute as anyone sees fit. Update, 30/11: The Gesellschaft für Neue Musik, the organisation which commissioned Johannes Kreidler’s performance, have released a statement regarding this discussion, which you can read over on Ian Pace’s blog. In August, Talea Ensemble gave the first performance of The Incredulity of St Thomas, for bass clarinettist, cellist and percussionist, as part of the Harvard Summer Composition Institute. You can now stream or download their performance above. Many thanks to Rane, Chris, Alex and conductor Eduardo Leandro for their work on the piece, and to everyone else involved in those fantastic two weeks. You can hear a short interview with me and some extracts of my music this Monday evening on France Musique’s Les lundis de la contemporaine broadcast. The interview took place a couple of weeks ago during my stay at Fondation Royaumont and for those of you who speak French, you can enjoy me stumbling into linguistic traps of accidental irreverence such as addressing interviewer Pierre Rigaudière with ‘tu’ rather than ‘vous’. The magazine programme begins at 21:30 CET, following a broadcast of music by Philippe Manoury, Jonathan Harvey and Arnold Schönberg performed by the Lucerne Festival Academy Orchestra, and will be available to hear online until 7 November.